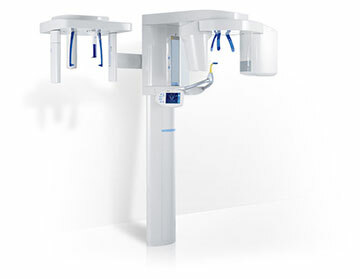 Kingfisher Dental Designs offers the latest in technology! The Orthophos XG3D system uses a rotating scanner to collect 3D data. It can be used with patients of many different needs, and the entire scan takes only 14 seconds to complete. What's more, because it relies on digital imaging, the XG3D system emits markedly less radiation than a traditional X-ray machine, ensuring the safety of all our patients. Dr. Danner will analyze your scan and discuss with you the findings, as the diagnostic capabilities far exceed that of 2D imaging. The images can be viewed and manipulated on a large screen to help you understand your health and possible treatment options, as the images can be enlarged, rotated, and highlighted as necessary. With the help of XG3D and other technology, you can leave your dental office with a clear understanding of your health and potential ways we can help you.